The Science Council grew out of the former Council of Science and Technology Institutes, a confederation that brought together a number of like minded physical and biological science societies. I served on the board of CSTI and somewhat seamlessly joined the Science Council Board when it was first formed: a brief pause, and then a second term, which ends this June. Unlike CSTI, what the Science Council can do is to award professional titles. Over the last ten years, the Science Council has changed out of all recognition and through work such as ‘ten types of scientist’ it has done much to raise the profile and awareness of the diversity of professional science and its contribution to the UK economy. There are more member bodies across a broader range of professional science practice; additional registers to attract and nurture those at the very beginning of their professional life through training and personal development; and action through the Declaration on Diversity, Equality and Inclusion to create greater opportunity for any individual to fulfil their scientific potential, irrespective of their background or circumstances and, in so doing, help science to better serve society. The Science Council faces many challenges: how to articulate and to become the respected voice of professional scientists; how to attract the widest possible talent to the science workforce and foster a greater diversity of scientific ideas, research and technology; and how to become the natural home for all professional scientists irrespective of their background, gender, circumstances or discipline interest. It has been my privilege and pleasure to have contributed to the journey so far. I have found that experience deeply rewarding and would encourage anyone who has a wish to influence the future development of the Science Council to stand for election to the Board. I wish the Science Council every success in the future. 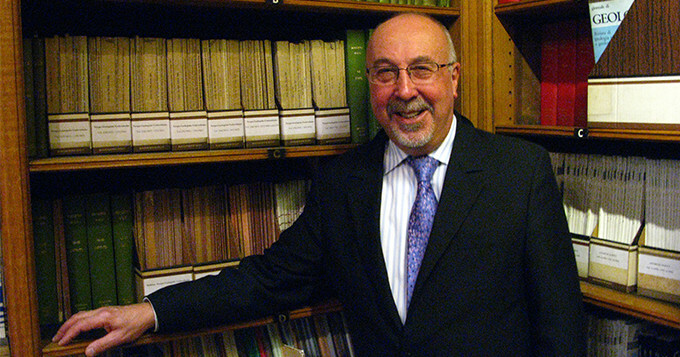 Edmund Nickless CSci was Executive Secretary of Geological Society from 1997 to 2015. He served on the Science Council Board from 2007 to 2011 and from 2012 to 2016. Guest blogs come from a variety of contributors, including people from our member organisations, registered professional scientists and thought leaders from across the science community.